Please see the fiction section of Zouch Magazine & Miscellany, an online Canadian source of literature and commentary, for a short story I wrote called “The Assembly of Equals.” Originally published last year in The Montreal Review, this epistolary piece is about an idealistic primatologist who creates a democratic assembly composed entirely of chimpanzees. Hilarity and poop-throwing ensue. 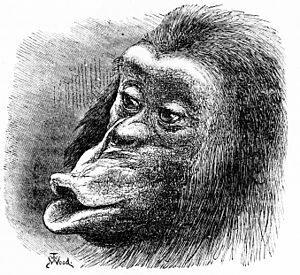 This entry was posted in Literature and tagged chimpanzees, primatology, short story, The Assembly of Equals, The Montreal Review, Zouch by David Taub Bancroft. Bookmark the permalink. Thanks! Clicking on “The Assembly of Equals” in my post also provides a direct link.